We have a choice of three styles of luggage rack available for the Austin Healey Sprite series 2, 3 and 4 cars built between 1961 and 1971. Premium specification Classic Style boot luggage rack with bespoke fittings suitable for the Austin Healey Sprite series 2 onwards. 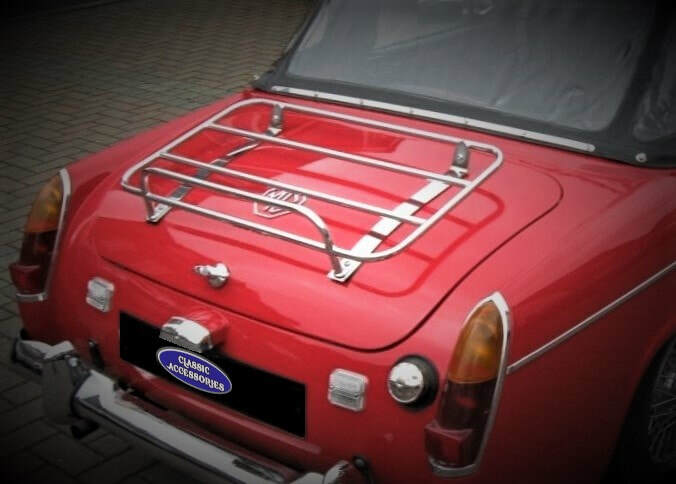 American Style boot luggage rack with bespoke fittings suitable for the Austin Healey Sprite series 2, 3 and 4 cars built between 1961 and 1971.